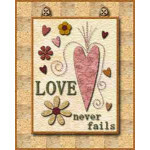 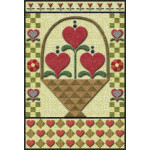 Although fast and easy, this applique project is still very elegant, with small hearts making up a larger heart. 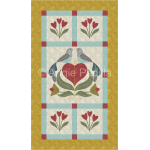 Simply beautiful. 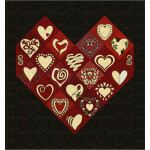 Finished size: 10 x 18"
Appliqué hearts set on point shape a larger heart, giving the impression of a box of Valentine's cho..